An unexpected sample walked into the laboratory at the end of last week. 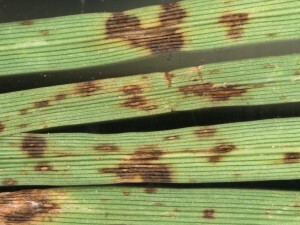 Net blotch, which is caused by the fungus Drechslera dictyoides, was subsequently diagnosed on a sample of turf-type tall fescue. 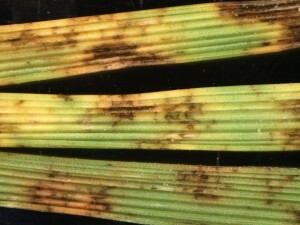 Net blotch disease is characterized by the presence of “net-like” leaf lesions. 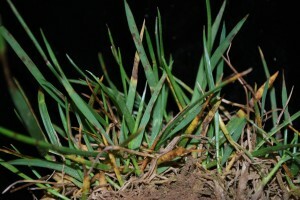 The lesions are reddish and infected leaves may senesce prematurely resulting in a thinning sward. 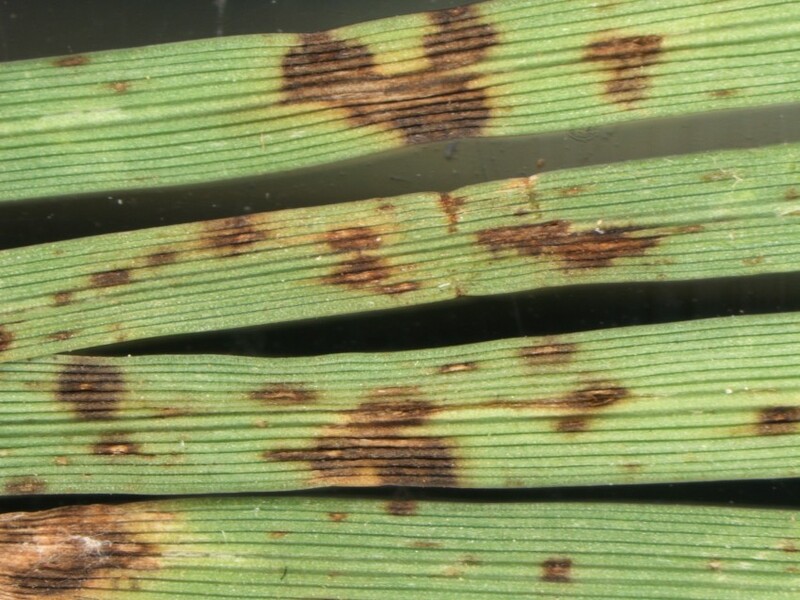 The disease is relatively rare in tall fescue (we usually see it in fine fescues) and should not cause significant damage, but it should be monitored none-the-less. The interesting thing (for me, anyway) about net blotch is that there once was a time when the “Helminthosporium” leaf spot diseases, to which net blotch belongs, caused quiet a stir in the landscape. In particular, leaf spot and melting out of Kentucky bluegrass was a significant issue for some of the early bluegrass varieties. 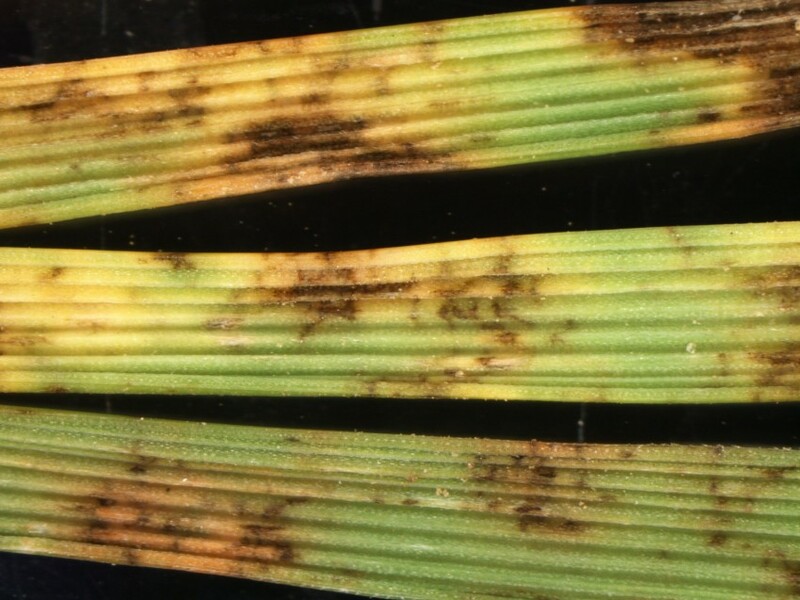 In susceptible grasses, leaf spot diseases cause large areas of turfgrass to rapidly decline. Plant breeders long ago brought leaf spot resistance into our varieties, but we still see some samples now and then. 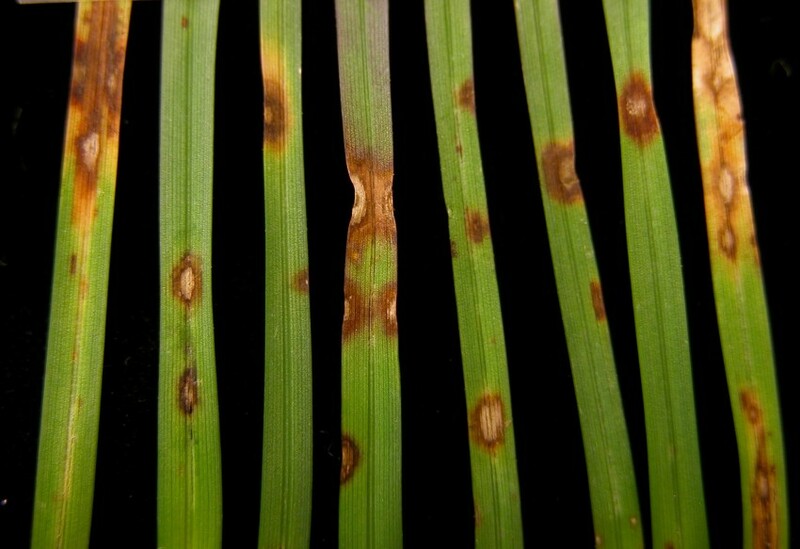 Leaf spot and melting out of Kentucky bluegrass is caused by the fungus Drechslera poae and is characterized by reddish/purple, “football” shaped lesions that turn tan in the center. Any discussion of leaf spot diseases in turf should not fail to mention brown blight. 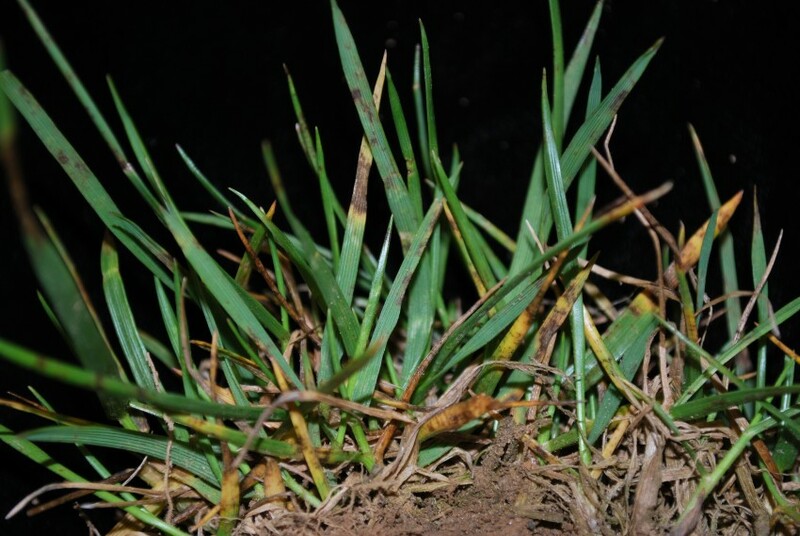 Brown blight is caused by Drechslera siccans and is the “leaf spot disease” of perennial ryegrass. Most of the research concerning proper management of these diseases occurred during the halcyon days of leaf spot and melting out of Kentucky bluegrass. General recommendations for all three diseases include: management of proper cutting heights, avoidance of excessive irrigation and leaf wetness, thatch management, and prudent nitrogen use. Be sure to stick to the resistant varieties when seeding historic trouble sites. 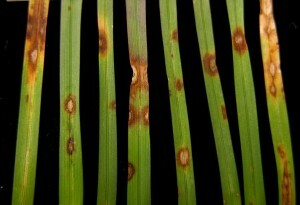 Click here for more information on leaf spot resistance in landscape turf varieties.